Sprague Pest Solutions promoted Ross Treleven to VP, Operations, reporting directly to Sprague’s CEO, Alfie Treleven. Ross will work alongside Sprague’s COO, Jeff Miller, and oversee Sprague’s field operations. Sprague’s current executive leadership team is the third generation of Trelevens to steward the organization. Ross’s promotion marks a key milestone in Alfie’s and Executive Vice President (and PMP Hall of Famer) Larry Treleven’s efforts to transition the company to the fourth generation of family leadership. Ross’s time at Sprague includes more than 20 years of leadership, beginning with work in the field as a technician, up to his most recent role as general manager. As general manager, Ross was responsible for 12 branches on the west coast, sales, marketing, and corporate operations. During Ross’s tenure in regional management and as general manager, Sprague saw a three-fold increase in revenue and expanded to four additional states, an increase in Sprague’s geographic service area of more than 60 percent. 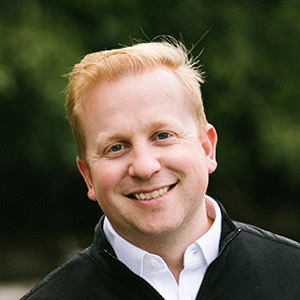 Ross holds a bachelor of business administration degree from Gonzaga University and an MBA from the University of Denver, Daniels College of Business.